Thanks to Connor, Lev, and Risa—and their high-profile revolt at Happy Jack Harvest Camp—people can no longer turn a blind eye to unwinding. Ridding society of troublesome teens while simultaneously providing much-needed tissues for transplant might be convenient, but its morality has finally been brought into question. However, unwinding has become big business, and there are powerful political and corporate interests that want to see it not only continue, but also expand. 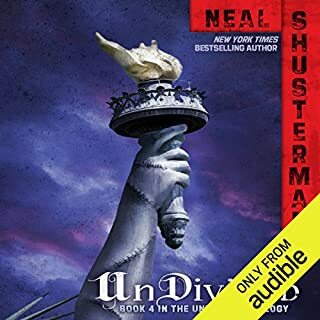 Teens control the fate of America in the fourth and final book in the New York Times best-selling Unwind dystology by Neal Shusterman. Proactive Citizenry, the company that created Cam from the parts of unwound teens, has a plan: to mass produce rewound teens like Cam for military purposes. And below the surface of that horror lies another shocking level of intrigue: Proactive Citizenry has been suppressing technology that could make unwinding completely unnecessary. How did Lev Calder move from an unwillingly escaped Tithe to a clapper? 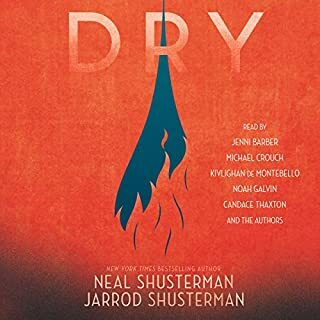 In this revealing short story, Neal Shusterman opens a window on Lev’s adventures between the time he left CyFi and showed up at the Graveyard. 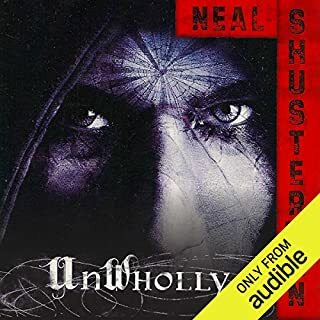 Pulling elements from Neal Shusterman’s critically acclaimed Unwind and giving hints about what is to come in the riveting sequel, UnWholly, this short story is not to be missed. In a society where unwanted teens are salvaged for their body parts, three runaways fight the system that would "unwind" them. If they can survive until their 18th birthdays, they can't be harmed - but when every piece of them, from their hands to their hearts, are wanted by a world gone mad, 18 seems far, far away. 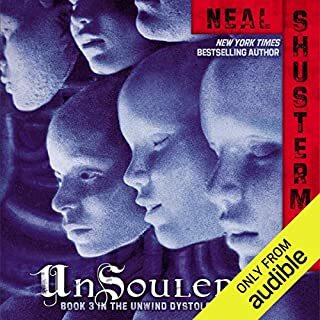 In Unwind, Boston Globe/Horn Book Award winner Neal Shusterman challenges listeners' ideas about life - not just where life begins, and where it ends, but what it truly means to be alive. 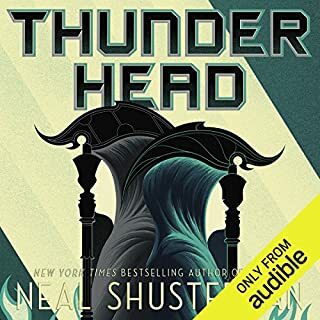 ©2009 Neal Shusterman (P)2009 Brilliance Audio, Inc.
My first hour into this book I was groaning: ah, me, just another sci fi tale that claims all sorts of dire consequences if [insert one political party here] gets its way. Stories like that always seem to simplify everything way too much. One side is always Nazi-evil to the core, and boy, who could ever have voted for them? And the other side is good good good all the way to their little tippy toes, and only a very few brave and extremely intelligent people can recognize the truth... blah, blah, blah. But "Unwind" did not turn out to be the simplistic "Voter Beware!" I assumed it would be. In Shusterman's world, both sides compromise in politically safe ways, screwing everything up to the point where all young people are at the mercy of adults who may arbitrarily decide to "unwind" them, and everybody rationalizes away their qualms because they're sick of the war and politics that brought them there. I don't think I really understood how fine this book was until we got to Sci Fy's story. That's when I began to better appreciate the narrator, too, and I really began enjoying "Unwind". Best of all, the the heroes, the villains, and even the bit-players are all memorable, imperfect, totally believable people I enjoyed getting to know. Great job, Mr. Shusterman. I expect to read more of your work! To say that UNWIND is a disturbing concept would be an understatement for sure, but to Shusterman’s credit, he was very forthright with what to expect; from the title to the plot summery there was no hiding what this book was all about… and I can absolutely confirm, he delivers on the promised creep factor. The basic gruesome premise being that after a War in the US between the pro-lifers and the pro-choicers ends with an unthinkable compromise; abortions banned protecting a child’s life from conception until the age of 13, at which time(until the age of 18) parents have the right to unwind them. To be unwound is basically to be harvested for parts and organs, a process that is done without ever technically killing the child; therefor the Unwind lives on in a “separated state” through the recipients of each part/organ. Needless to say harvesting has become a very profitable business, so to run is to be hunted and hunted hard. 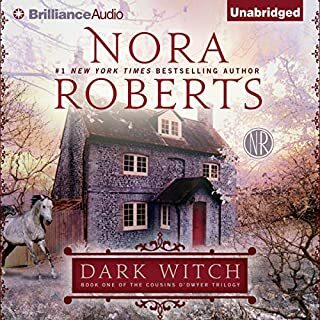 UNWIND (Unwind Trilogy #1) is a book that I’ve almost purchased for the better part of a year now, always opting out (or more accurately put, chickening out) at the last minute. Being a fan of Neal Shusterman, I was initially intrigued, but ultimately freaked out by the concept.. I mean, “unwinding” your teen for parts if they turn out to be too much trouble… ick! But like a passing a car accident on the highway, morbid curiosity won out and I looked. Granted, I took the cowards way out, going the audio route verses actually reading the book in hard copy, usually finding it’s easier to “detach” oneself as a third party observer then to go in alone. The idea being that hearing the disturbing details would somehow lessen their impact opposed to a much more personal and all encompassing experience of reading them and becoming wholly absorbed into the story. 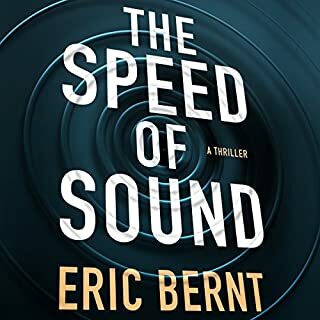 Because a book in audio format is more akin to seeing a movie, ultimately you see a the book unfold only with your ears instead of your eyes, at least that’s what happens when the book is well written and the narrator has some chops. But when you read a book (a good book anyway), you become the character and feel what they are feeling. Well experiment coward backfired, at least when it came to the gory details. 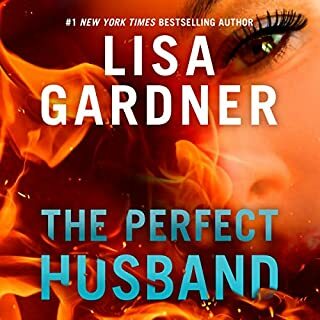 Unfortunately I failed to factor in one very crucial aspect to reading… the ability to “skip” or “skim”; an ability I lost in audio format and ability I really could have used during the last quarter of the story where things got to be a bit too much for my squeamish nature to handle. In spite of my low tolerance for the ick-factor, in the end I did manage to power through the stomach turning details and was a satisfied customer because of it. Narrator Luke Daniels does a superb job delivering UNWIND, giving each character a distinct voice that felt true to their individual personality. And as I’ve come to expect from Shusterman, the book is excellent, disturbing yes, but excellent none the less with an eerie, unique and thought provoking concept that gets the reader invested from the get-go. UNWIND is definitely a book I’d recommend; well paced with lots of action, a little romance and plenty of white-knuckle “no freaking way” moments, a truly exciting and horrific tale like no other. ... oh and by the way, "Nice Socks". I loved and hated this thought provoking book! Yes. I have already recommended this thought provoking young adult novel to several friends, some teens, some adults. It is guaranteed to hold the interest of any reader or listener who gives it a fair chance, regardless of age. It is well written and follows all of the "rules" for YA fiction, while not talking down to the reader. It raises questions regarding current social issues without being preachy. What was one of the most memorable moments of Unwind? The scene in which one of the teenagers is "unwound." It is explicit but not gory. I had a very hard time listening to it, and wondered about its appropriateness for teen readers, but it was exactly what the story needed. Without it, the story would have lacked context. Initially, I questioned the choice of Mr. Daniels to read a YA book. He started out almost in a monotone, but it quickly became clear that his style was exactly right. He did a great job of giving voice to the various characters, while using an almost deadpan tone to deliver some passages that might have been very difficult otherwise. A frightening ... and plausible ... view of a possible future. Adult readers might have difficulty accepting some pretty implausible coincidences, especially toward the end of the book, but they aren't jarring. Dystopian teen fiction will always strain credulity and require a suspension of disbelief that our world could ever devolve in such ways. Could an American civil war ever really end up with something like the Hunger Games, where children are deliberately sent into an arena to fight to the death for the entertainment of the privileged class and further suppression of the working class? Not literally, of course -- it's meant to symbolize sending young men and women off to war. Nevertheless, these books and movies have been extremely successful. Unwind may be even more a stretch, an American civil war between pro- and anti-abortion forces that is resolved by allowing abortion only after children reach their teenage years. The author and narrator prove to be adept enough at their craft to engage listeners. The premise left me skeptical at the outset -- I didn't think they'd pull it off. But they did. Suspend your disbelief and you'll be rewarded. 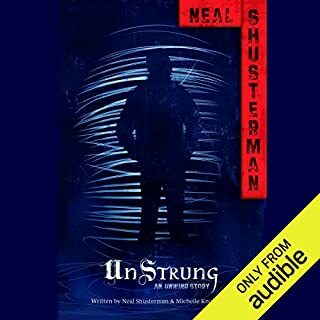 I especially like the way Neal Shusterman addresses contemporary social issues within the context of his story while keeping the story moving and never making it feel like he was moralizing. That's ultimately why this genre works so well, especially with its YA target audience -- the reality of our Middle East wars or the abortion debate is not going to directly engage their morality (except perhaps in school), but re-set it in a dystopian future where kids their age have to fight for their lives, and they want to read it, and the message gets across. Connor, the most central of the three main characters, is a classic archetype of this type of novel. As another character says about him, he always does the wrong thing but only ever for the right reason. He's a complex troubled teen in a world where troubled teens are retroactively aborted, trying to avoid that fate, helping others do the same. As in all good dystopian fiction (just like Hunger Games, Divergent, even Harry Potter), the main characters prove to be heroic figures despite never seeing themselves that way, doubting themselves even as their instincts propel them toward heroic actions -- actually, not their instincts, their moral compass, which is exactly the point. Connor is in that mold, in an engaging, charismatic manner. 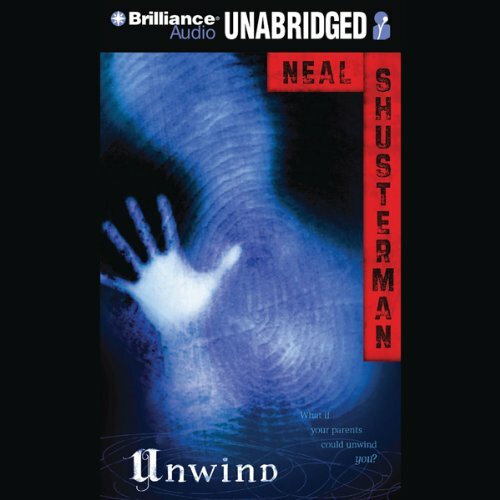 Although Unwind was written as a standalone novel, its success led Shusterman, some years later, to revisit this world and make a series out of it, the entirety of it worth a good listen. This is a premise so fierce that I hesitated to select the title. 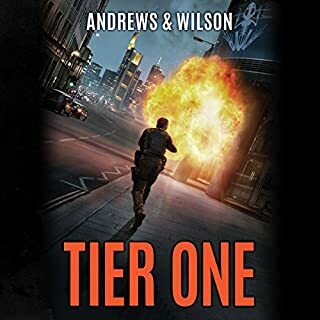 And I think I'm going to be haunted by this book for quite some time (at least as long as it takes me to download the second in the series, that is...) The book is set in a world of the future where the United States has fought another civil war. This time abortion is the issue instead of slavery. So a compromise has reached. A pregnancy can be aborted only retroactively by "unwinding" a kid (and harvesting all the parts, so the kid is really dead, just divided) between the ages of 13 to 18. Kind of a "try before you buy" idea. Scary, eh? Into this world comes Connor whose parents signed the unwind order, but instead of being taken by surprise by Juvie Cops, Connor finds out beforehand and runs. When they catch him, he resists and he escapes. He meets up with two other unwinds who join his fight to stay alive. And this is in the first fifteen minutes. The pacing is breakneck and the writing is okay. Not great, but good enough to tell the story convincingly. One thing that pleased me about the book is that it is neither pro-life nor pro-choice. But shows a world where ANY position, if taken far enough to the extreme, results in insanity. If there is a genre called Young Adult in a Very Disturbing Future this is it. The story is based on a civil war between pro-life & pro-choice sides known as the Heart-Land War. The war ends on comprise between the two parties with “The Bill of Life”. It states that a human life may not be touched from the moment of conception until the child reaches the age of 13. However, between the ages of 13-18 a parent may actively abort a child on the condition that the Childs life doesn’t technically end. A process in which the child is terminated & kept alive is called unwinding. When a child is unwound their body parts are harvested and reused. The practice is common and accepted in society and is looked upon as donating. The story follows three teens to be unwound for varies reasons. I like the way the author had everything moving at a fast pace. The story had a lot of twist and turns and was unpredictable, but it all fell together throughout nicely. It kept me at the edge of my seat making it hard to put the book down. There are a few eerie parts. 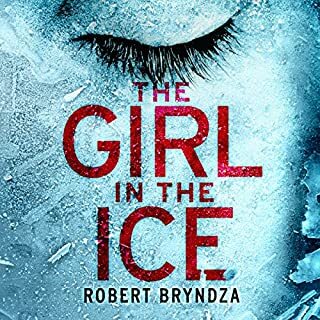 One chapter has you following one of the unwinding through the operation and it was quite chilling and creepy, it made for a sleepless night. Some schools have this as a mandatory read (gez in my time Jonathan Livingston Seagull was it) and I can see why. It leaves a lot open for debate. It even had me question on my own beliefs. 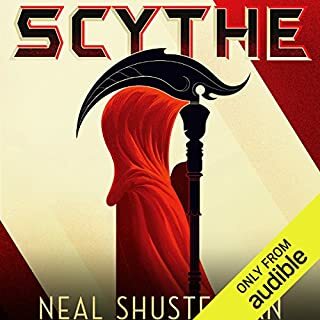 Neal Shusterman has quite a following with this dystopian tale so I am sure there will be a sequel. The way the book ended it could use one, it left me with questions (which I HATE). Yes, it’s a young adult book, don’t let that stop you I’m 35+ and highly recommend it. It is worth the read/listen. 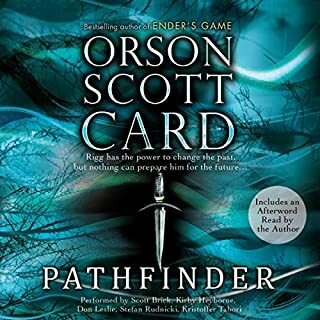 I had listened to this book when it first came out and then I came across the 3rd book of the series and I couldn't believe it, I had no idea it was a series! 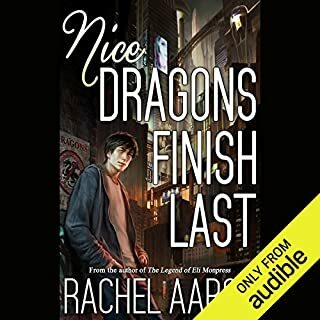 I listened to the first one just to remember the main characters and so on, and I found the story to be as good as the first time I read it. 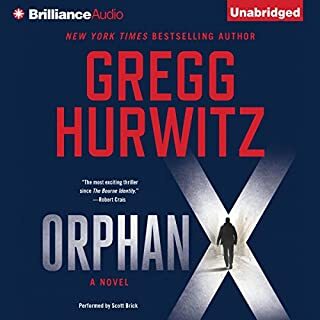 The narrator does a great job, one particular scene towards the end comes to mind that had me feeling that moment in the story, not just listening to it. A credit well spent! Story starts slow, but hang in there!! The story starts out feeling slow and extremely heavy-handed. Stick with it. It gets so much better! Many, many moments that are beautiful, striking, suspenseful... overall, awesome book! Shusterman's Unwind posits a nearly unthinkable evolution in societal norms: teenagers may be "unwound" by their parents or guardians. To be unwound implies total dissection and a recycling of all body parts for needed transplantations. 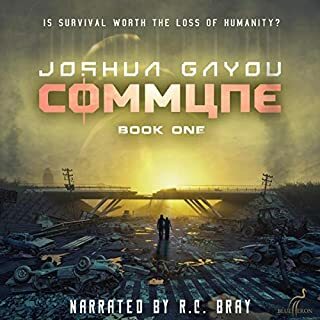 While the sci-fi elements are subdued and quite subtle, the backstory for how society arrived in this state is detailed. Essentially, the confrontation between pro-life and pro-choice, having led to civil war was adjudicated in a classical "Solomonic" fashion by decreeing that all conceptions were sacrosanct, but between the ages of 13 - 18 a child could be retroactively "aborted" or unwound in such a fashion that by utilizing all bodyparts, the person is not considered to have been killed, but rather surviving in a distributed state. As ghastly medieval as this sounds, Shusterman adds in subtle analogies to slavery where similarly incomprehensible and contradictory attitudes about human life were maintained, but instead of a civil war to end as for slavery, unwindng was instituted to prevent civil war. Following along the slavery theme, Shusterman adds an underground railroad supported by opponents of the status quo. We follow the escape and exploits of three unwinds with very different circumstances and backgrounds. The timeframe is the near future (ipods are from their grandparents' generation). 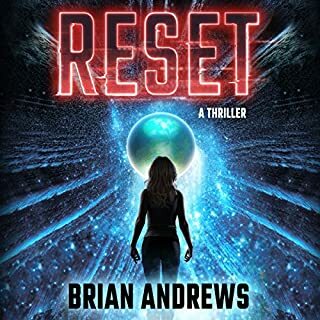 The sci-fi elements are minimal except for a reference to nerve grafting that made transplants easier, as well as liquid explosives that can be placed in blood. Other than these features, technology and people are quite familiar. This story is like a funhouse mirror that distorts our views sightly, but sufficient enough to require closer inspection of our values and ideals. The narration is superb with an excellent range of voices, both male and female as well as young and old. While this may be considered in the teen genre as it is a classic coming-of-age tale, this is still heady stuff for any serious listener. This was a fun book, despite the fact that it relies on a premise that is, frankly, a bit absurd. In no reasonable world do pro-choice and pro-life groups "compromise" by allowing not only retroactive abortions (i.e., the flat-out murder of teenagers), but also the use of teens as body farms. It would be abhorrent to both groups, just as it is expected to be abhorrent to nearly all readers. 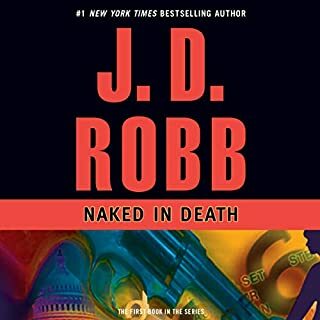 Because I found the basic premise to be ridiculous, I had a hard time suspending my disbelief, and it thus took me a while to get into the story. But I'm glad that I persisted. The characters and interesting and believable as they respond to real threats. And the horror of the process, which is mostly shrouded in mystery for much of the book, is chillingly illustrated towards the end by actual unwinding of one of the less sympathetic characters. Furthermore, the narration is superb. So despite the rickety premise, I really enjoyed the book, and I'm looking forward to the remaining installments.